That is a good example of a picture is worth a thousand words. 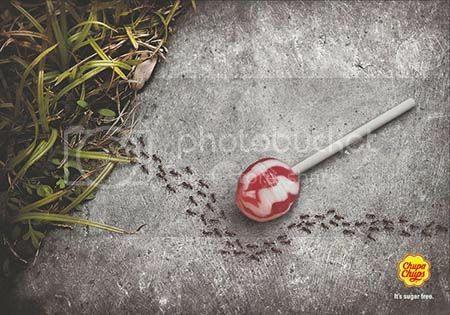 Chupa Chups : A sugar free lollipops and even army ant raids passing through it. 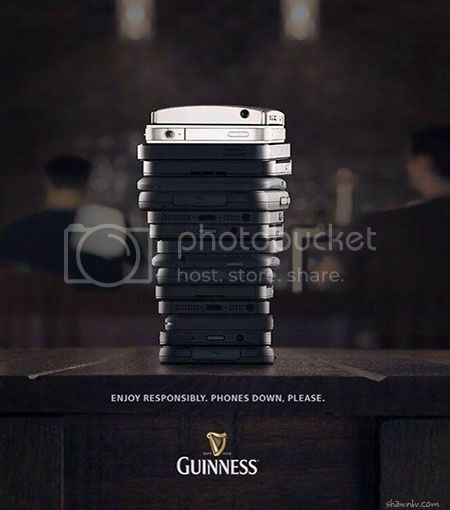 Guinness: Enjoy Responsibly. All the smart Phones Down, please! Focus on the beer they’re and the friends they are with. A good threathen advertisement. 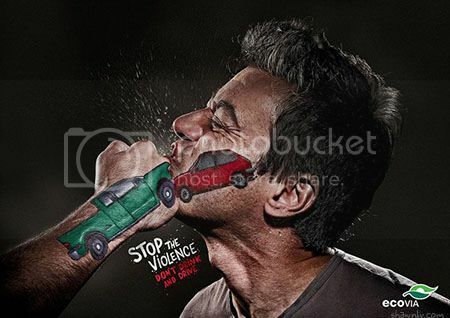 Ecovia: Stop the Violence, Dont drink and drive. Advertisement from German Weight Watchers weight control. 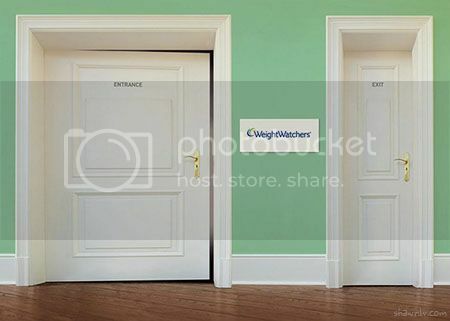 Control your weight in order to exit. Advertisement from Oogmerk eyewear brand. The important of getting your appearance. 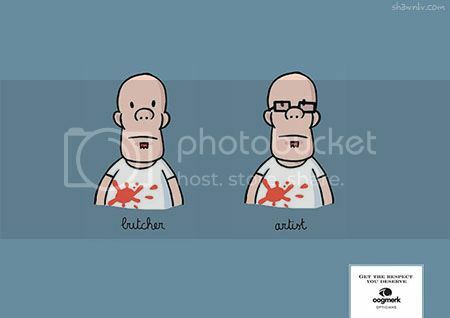 You want to look like a butcher or an artist ? or a professor or a truck driver ? Nivea Men。「Because Life Makes Wrinkles」Worry lines, Kids. 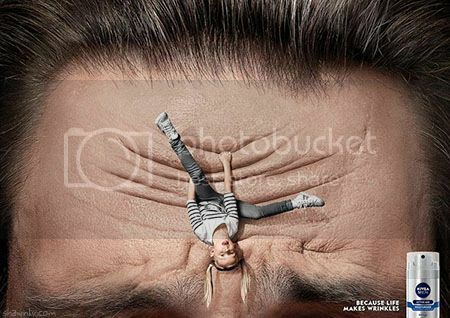 Because life makes wrinkles. 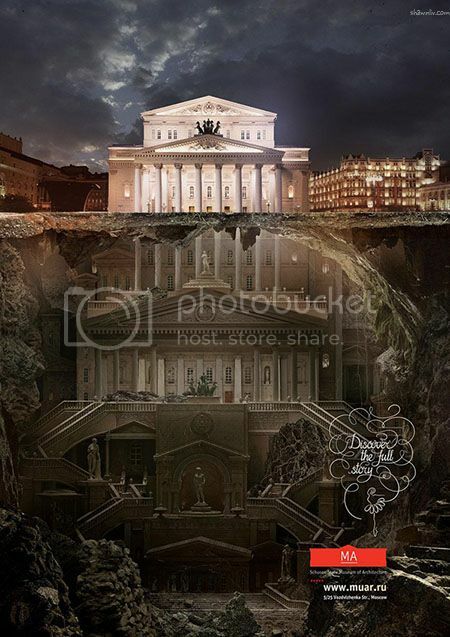 Creative Museum Campaign about Russian Architecture – Discover the full story. StrongerMarriage.org: WE. 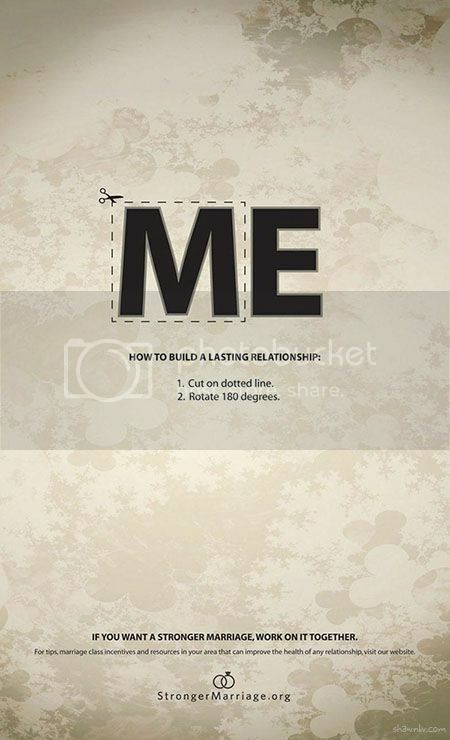 How to build a lasting relationship ? Cut down the M and rotate it to 180 degrees to W. WE to work on it together.